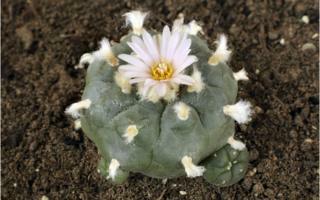 The iconic cactus plant is veering into trouble say researchers. The most serious problem is illegal smuggling. Despite the international ban on uncontrolled trade in cacti, policing the smuggling faces many problems and semi-professional hunters continue to uproot plants to order, stealing from National Parks, Indian Reservations, but more significantly from the wild. 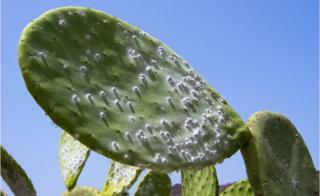 In southern Spain, the plants are being devastated by the cochineal beetle. But the picture there is mirrored across other regions of the world. As Anton Brugger strides purposefully around his plantation set on the side of a steep hill in Almeria, southern Spain, he casts his gaze over the more than 10,000 cacti artfully arranged in terraces over two hectares. “When visitors come here and see the really huge cacti such as Madagascar’s Alluaudia procera, which grows to about 10m (33 feet), they are inspired to buy small versions in the nursery,” explains the Austrian cactus afficionado. 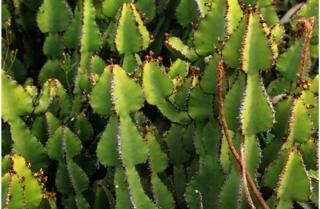 Their astonishment stems from the perceived hardy nature of the cactus able to withstand heat, drought and poor soil. But the Iberian peninsula’s emblematic prickly pear is absent from Brugger’s nursery. The plant that typifies the traditional Spanish landscape is nowhere to be seen in Andalucia, devastated, Anton Brugger says, by a pest – the cochineal beetle. Although cacti are native to the Americas (apart from one species that also grows in Sri Lanka, and parts of Africa from the Ivory Coast to Ethiopia) new plants can be grown from off-shoots. So while the localised loss of this species doesn’t spell the end of this iconic cactus species, it is part of a more worrying trend, according to South African-born Paul Rees, who is in charge of the tropical nursery at the Royal Botanical Gardens, Kew. He says that many of the approximately 2,000 identified Cactaceae species have a very restricted range which make them vulnerable. 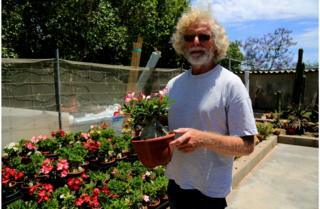 “Cactaceae are considered one of the most threatened plant groups in the world,” he explains. “Over 30% are considered critically endangered or vulnerable,” he adds. To put this in perspective approximately 25% of mammals are endangered. 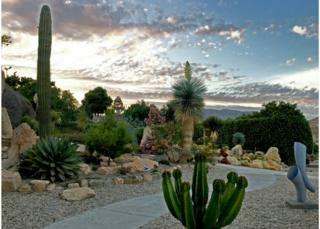 But with rising temperatures cacti are forced to withstand ever longer periods of drought. The IUCN, International Union for the Conservation of Nature, has categorised Cacti as belonging to two groups. These are listed in the two Appendices to the Convention on International Trade in Endangered Species of Wild Flora and Fauna (CITES), with the most threatened appearing in Appendix I. However hunters continue to seek them out, especially in wild settings. According to wildlife conservationists in the United States, cacti are being dug up at an ever accelerating rate for zealous collectors looking for niche species. Additionally narco-tourists are mining desert regions for small, psychotropic peyote plants and so feeding the market for mind-altering drugs. Cacti now rank just below drugs and guns as the most popular goods smuggled out of Mexico, according to conservationists. Alex Monro, who is research leader in the America’s team at Kew, says that with teams working with the Royal Botanic Garden in remote areas and identifying new cactus species are very cautious not to reveal the the geographic location of newly identified cacti species. “If we have material only known from a particular locality we know that there will be interest in that species from collectors,” he says.